Welcome to Tsumago and Magome on the Old Nakasendo Highway. 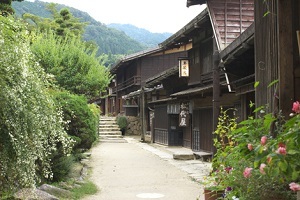 Tsumago and Magome are located in the southern part of the Kiso Valley in Nagano Prefecture. 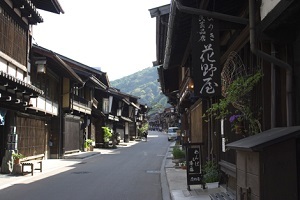 Many years ago, it was one of the eleven post towns in that district of the Nakasendo Highway. When the Chuo Rail Line was constructed along the Kiso River in 1911, Tsumago lost its role as a post town and it gradually became a deserted village. However, in 1968 a movement to preserve Edo and Meiji Period buildings began and during the following three years many structures were repaired and restored. 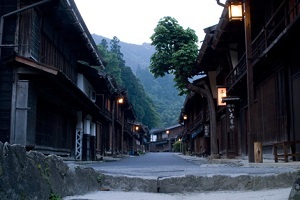 In 1976, Tsumago was designated as a "Protected Area for the Preservation of Traditional Buildings" by the Japanese government. The Old Nakasendo Highway can now be enjoyed by visitors who wish to see a very important part of old Japan preserved in tact. Welcome to Hanaya Ryokan. Built during the Edo Period (1603 - 1867), this Minshuku has been in business ever since. However, a new addition was built recently. Hanaya Ryokan's rooms are all Japanese-style, and the bath is made of Japanese "hinoki" (cypress). 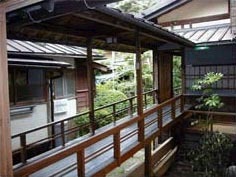 The bath is located in the ryokan's newer section and is open 24 hours a day. Seasonal, homemade cuisine is served throughout the year. Welcome to Matsushiroya. This is a very cozy Minshuku and it first opened for business in 1804. With 8 Japanese-style rooms, Matsushiroya can accommodate up to 25 guests. All washroom and bathing facilities are shared among the guests. Traditional Japanese cuisine such as carp sashimi, grilled river fish, Japanese koya-dofu, (freeze-dried tofu), and Japanese tora soba (soba noodles with yam topping) are served. Attention: Matsushiroya is closed for business on Wednesdays. Welcome to Fujioto. 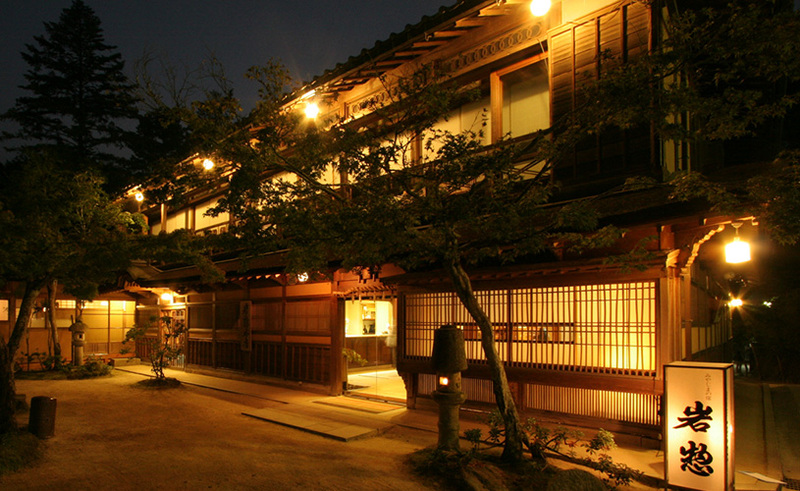 This Minshuku is conveniently located on the main road in historic Tsumago. Fujioto prides itself on serving its guests delicious meals and offering traditional Japanese style accommodation. Other highlights of Fujioto are the Japanese wooden bath and the beautiful Japanese style garden. All bath and toilet facilities are shared among the guests. Check-in time is after 15:00 and check-out time is before 10:00 am.